Crab Feed:Don’t forget that our annual crab feed will take place next Wednesday at at the Forest Grove Senior & Community Center. Doors will open at 5:30 p.m., for social time with our program beginning at 6 p.m. We will not have a noon meeting that day and there will not be a Thirsty Thursday/Satellite Club meeting in hopes that all will attend the crab feed. Dinner at the crab feed will be $35 per person. Join us for an evening of fellowship as we honor our latest Paul Harris Fellows and the recipient of our annual Mike Ward Community Service Award. We will also have some entertainment to cap off the evening. Members who are already Paul Harris Fellows, please wear your Paul Harris pins and/or medals to the event. If you plan on attending, but did not sign the sheet circulated at Wednesday’s meeting, please contact Blake Timm. 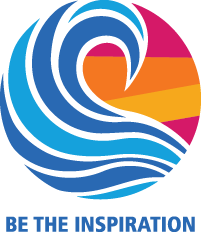 Silent Auction At The Crab Feed: We will have a small silent auction at the crab feed to help meet our club’s annual goal for giving to The Rotary Foundation. Among the items available to bid on include tickets to a Portland Trail Blazers, a Hillsboro Hops game, season tickets to Pacific University football, wine baskets and some nights at members’ beach houses. Bring your check books and credit cards and help us meet our annual giving goals! Portland Swap Meet: One of our best times of the year to promote our annual Concours d’Elegance, the Portland Swap Meet, is coming up on Apr. 5, 6 and 7 at the Portland Expo Center. We need club members to help man the booth to promote our biggest fundraiser and one of the top Concours events in the nation. If you are able to work a shift to help promote the show, please contact Jim Crisp. Rotary Scholarships: Applications are being accepted for annual Forest Grove Rotary Scholarship program, which presents college scholarships to graduating seniors from the Forest Grove, Banks and Gaston school district attendance areas. Applications are available At This Link or with guidance counselors at local high schools. Applications are due by Thurs., Apr. 4. For more information on the scholarship program, visit Our Club Website or contact Sharon Olmstead. Rotary Foundation Update: We are well on our way to meeting our Rotary Foundation giving goals! To date, club members have contributed a total of $7,352 towards The Rotary Foundation towards our annual goal of $9,000. We have surpassed our PolioPlus goal of $1,500 with $2,003 raised to date. Thank you! Be The Inspiration Award: The last Be The Inspiration Award winner is Mark Nakajima as presented by Lucas Welliver. Congratulations Mark! Fellow Rotarians Jeannine Murrell and Pamelajean Myers presented on ShelterBox, the international distaste relief organization that started as a Rotary service project. Both Jeannine and Pamelajean are Shelterbox Ambassadors, helping educate clubs and the public about the great works or this organization. In addition, both will be going to training in April to start the process of becoming ShelterBox first responders. 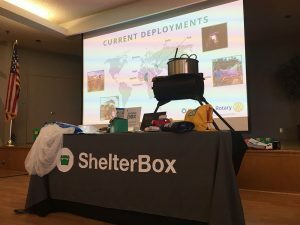 Jeannine and Pamelajean provided an overview of how ShelterBox provides disaster relief all across the world and some insight into how ShelterBox stages its boxes around the world to be ready to help once an invitation comes from a country to come in and provide assistance. Jeannine also provided information on how ShelterBox is providing assistance in east Africa in the wake of the cyclones that have ravaged the region. The Rotary Club of Forest Grove is one of six clubs in District 5100, along with the district’s Youth Exchange Program, that is a ShelterBox Hero Club. Our club has pledged donations of $1,000 to ShelterBox over a three-year period. We are in the second of three years of that commitment. NOTE: No noon meeting on Wednesday.